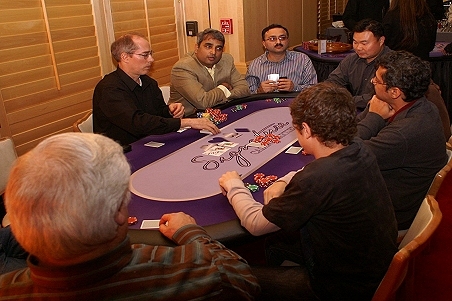 Blackjack at any casino party is by far one of most popular table games games that everyone can enjoy. 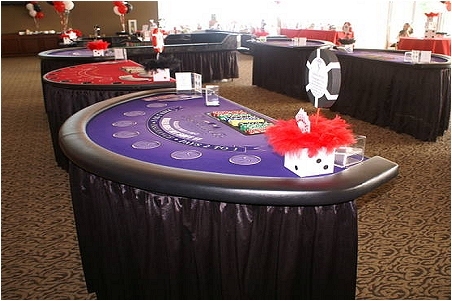 This table combined with one of our professional casino dealers will definitely make your casino the talk of the party. This table is a must have at any casino themed party including Fundraisers, Holiday Parties, or any occasion needing high end entertainment. 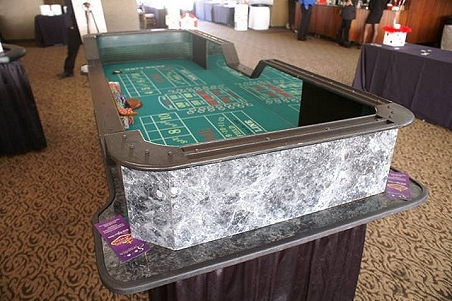 Our Blackjack Tables always include a professional dealing shoe, a full chip rack, pleated table skirting, and authentic casino synthetic felts. Signature Casino Roulette tables features synthetic casino felts in full detail and color. A single "0" and double "00" American Wheel. Fully pleated skirts that cover the entire table front and back. 13.5 gram chips. Display sign with chip denominations and table limits. 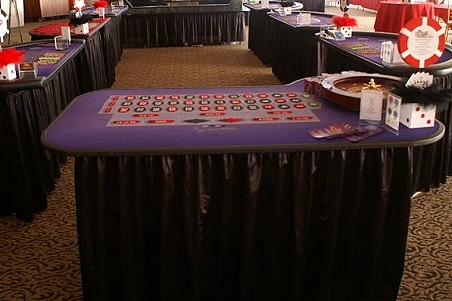 Signature Casino Craps tables features synthetic casino felts in full detail and color. Table capacity of 12 to 19 players at one time makes this game great for large guests counts. Fully pleated skirts that cover the entire table front and back. 13.5 gram chips. Display sign with chip denominations and table limits. Signature Casino Poker tables feature a padded armrest, synthetic casino felts in full detail and color. Poker tables seat 9 players comfortably. 11.5 gram chips, Dealer Button, and Copag Playing Cards. Signature Casino Pai Gow Poker table feature synthetic casino felts in full detail and color. The object of Pai Gow poker is for a player to create two poker hands out of the seven-card hand he/she is dealt by the dealer: a five-card hand, and a two-card poker hand. According to the rules, the five-card hand's value must exceed the two-card hand's, and that is why the two-card hand is often called the hand "in front" or "on top" or "hair", or the "small" or "minor" or "low" hand. The five-card hand is called the hand "behind", or the "bottom" or "high" or "big" (as they are placed that way in front of the player, when the player is done setting them). Tables come with fully pleated skirts that cover the entire table front and back.